So last weekend we had our annual work holiday dinner. In addition to writing this blog, I also work with 100daysofrealfood.com where I manage their sales/influencer relationships. 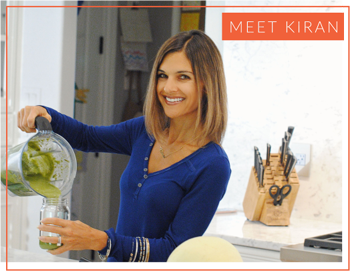 Lisa was actually the inspiration for me starting this site and has helped me learn so much about the blogging world! Anyhow, every year is somewhat of a challenge in planning the menu because we have lots of food allergies and sensitivities to deal with. 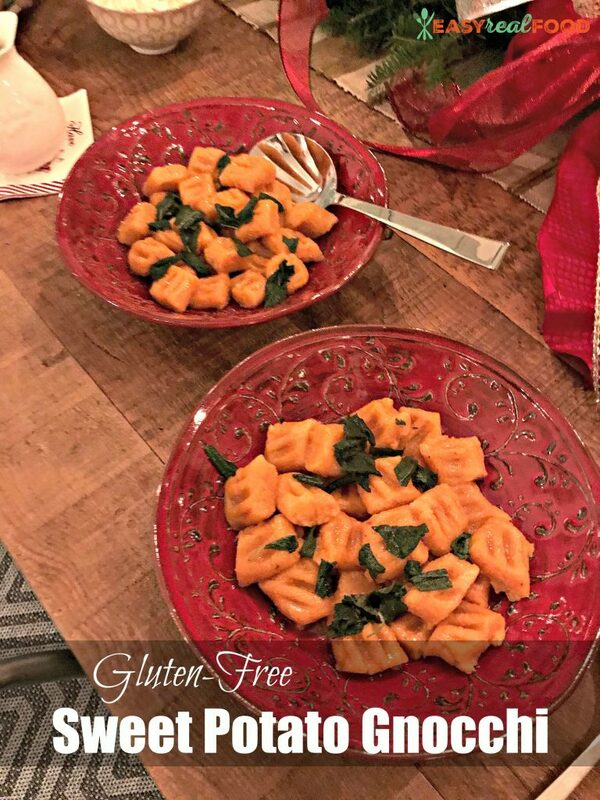 This year, we opted for an Italian theme, and I chose to make gluten-free sweet potato gnocchi. Gnocchi are thick and soft dough dumplings that are typically made from semolina, wheat flour, egg, cheese, potato, breadcrumbs, cornmeal, or similar ingredients. They are plump and pillowy and ohhhhh-so-delicious. So why should us gluten-free folks not get to indulge? We should! 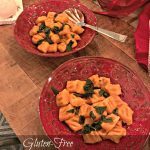 And you can do just that with this gluten-free sweet potato gnocchi recipe. I’ve gotta be honest here – there was a HUGE learning curve to this one. Would you believe that I tried 5 different iterations of this one before coming to a final product that I was pleased with?! I was eating failed recipes for days and there may or may not have been a few 4-letter words used along the way;). The issue that I ran into was that many of the flours that you typically use for gluten-free cooking can become gummy when cooked – not the taste that I was hoping for. With that being said, I have lots of tips that I hope you’ll read before diving into the recipe. Do not boil your sweet potatoes; either bake/roast them in the oven, or cook them in the microwave. Boiling/steaming will add too much water and make it “mushy”. I first tried making this by simply mashing sweet potatoes with a fork, but found this potato ricer to be incredibly helpful. Talk about creamy sweet potatoes! Make sure to use almond flour, not almond meal. Arrowroot flour is said to be interchangeable with tapioca flour, though I did not try with this substitution. Please comment below if you do try this. I rolled these on a large cutting board to make cleanup a little bit easier. This was after first doing it on my counter – big mess. Be sure to use a slotted spoon to remove gnocchi from boiling water. I used a honey dipper that my 13 year-old made for me (how cool, right?!) to make the little indents. Here’s one you can purchase, or a fork will also suffice. Tasty, pillowy gnocchi that's gluten-free and quick to make. Roast sweet potatoes in a preheated oven (425 degrees F) for 45-60 minutes, or until a cooked through. Cool for a minimum of 15 minutes; overnight in the fridge also works. Start a pot of salted water to boil. Peel potatoes and use a potato ricer to rice potatoes into a bowl. In a separate bowl, mix flours and salt to combine. Add sweet potato to flour and knead with your hands until all flour is incorporated. Dust 1 tablespoon (additional) arrowroot powder to your work surface and place ball of dough on the flour. Break into 3-4 smaller balls, and roll each out into rope-like pieces. Cut the "ropes" into 1" pieces, dusting with additional arrowroot flour if your surface is getting sticky. Adjust boiling water to a medium boil and pour half of the gnocchi in. Wait until they begin to float to the top, then let cook for a minute or two. Remove with a slotted spoon and lay on a cutting board (or plate). Place cutting board in refrigerator, and cook the other half of the gnocchi the same way. To make the sauce: Cook the butter over medium-high heat in a saute pan. Add the sage leaves to the melted butter and cook until butter begins to turn brown; remove from heat immediately. Plate the gnocchi and pour sage brown butter sauce on top. Serve while warm. This recipe turned out so good that I already have them planned for our family holiday dinner. 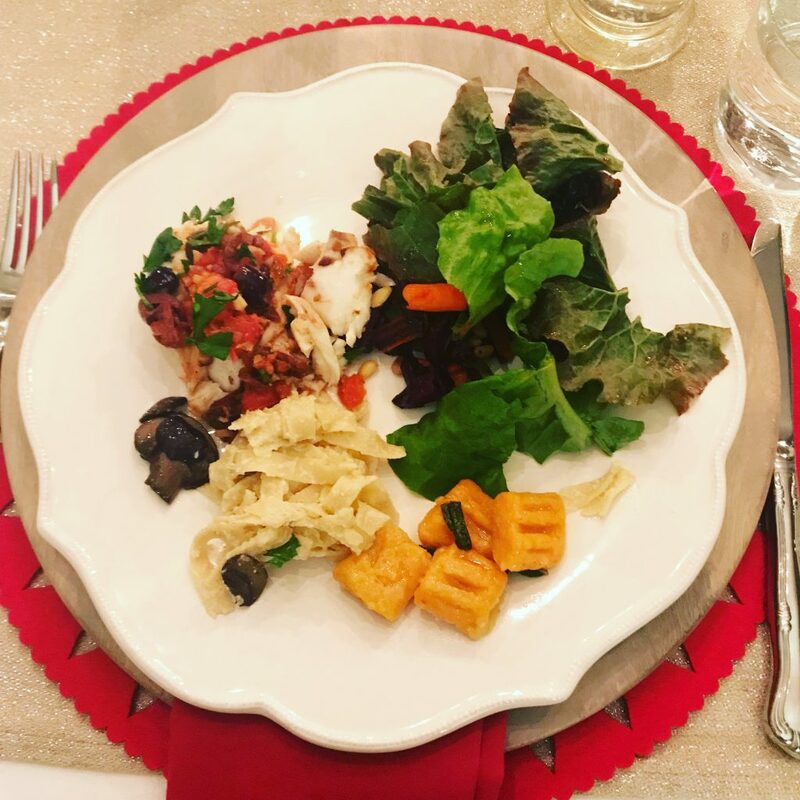 Since we’ve been talking about my work party, though, I’ll share a little peek at what we had there: local fish topped with an olive/tomato topping, gluten- and dairy-free fettuccine alfredo and a salad of mixed greens and roasted beets, both from the Leake’s garden. Soooo yummy! We topped it off with some vegan snickerdoodle and magic bars, which I totally need the recipe for.